Add style and support to your wardrobe with footwear by Propet Australia. With better durability, structure and support than other lifestyle shoe brands, Propet delivers the most comfortable walking shoes, work shoes and shoes for a wide range of health needs. With options to suit most lifestyles and circumstances, we aim to help improve mobility, enhance comfort and provide relief of heel, foot, knee and lower back pain. Discover Propet footwear online here or at your local speciality retailer today. The unique and exclusive range of shoes at Propet provides footwear options that are ideal for walking, work and health, delivering comfort with a sense of style. You’ll find wide fit shoes, shoes for problem feet, slip resistance rated work shoes and comfortable walking shoes that are ideal for travel, with Propet shoes among the best walking shoes for men and women. In order to meet the needs of almost every type of wearer, we offer a broad range of sizes and widths within each style. No matter how big or small your feet, you’ll always find the shoes you need in the styles and sizes that you want. That starts with properly fitting footwear. Footwear that is offered in a wide range of sizes and widths. And footwear that never compromises on comfort. That’s the key to healthy feet. Gait is the most complex motor function of the human body, involving half of the body’s muscles and bones, along with numerous joints and ligaments. 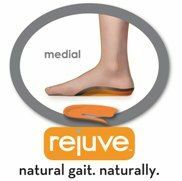 That’s why a number of Propet shoe styles feature our carefully engineered Rejuve Motion Technology™ which supports the foot in motion as well as when standing. 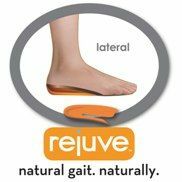 It is biomechanically designed to allow natural movement and reduced or alleviate the stress and strain and on your lower body. 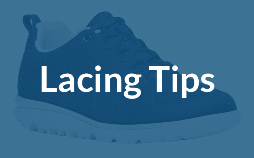 The offset heel cup holds the heel in alignment to prevent overpronation. It is this technology that allows Propet to create the best walking shoes for men and women. Propet Australia has set a new standard for creating the best walking shoes for women & men that comfort and protect feet. We believe that healthy feet are a vital component of overall wellbeing. We’re steadfastly committed to helping our customers take good care of their feet, and happy, healthy feet start with properly fitting footwear. Footwear that is offered in a wide range of sizes and widths, and that never compromises on comfort. That’s the key to healthy feet, and that’s our promise to you.